Photo courtesy SAU Sports Information. 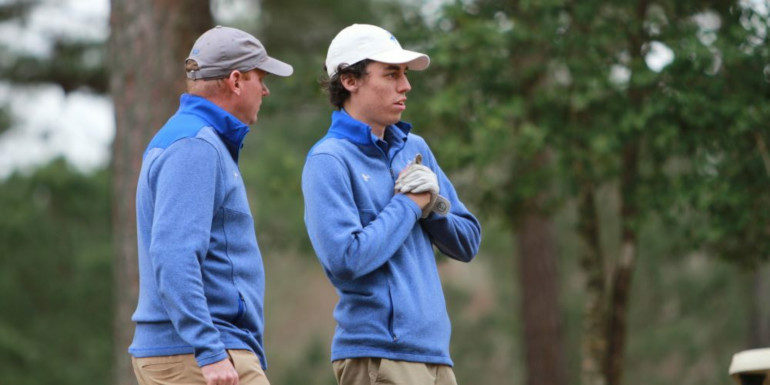 Kade Johnson continued his strong collegiate golf season this week shooting the lowest round in the history of Southern Arkanasas University’s Div. III golf program. The Yorkton product carded a six-under, 65 during the second round of the Natural State Golf Classic on Tuesday. Johnson finished the 36-hole regular season finale tournament in third place shooting 136, two strokes off his second victory of the season. Saskatoon’s Roman Timmerman finished in 23rd after posting a score of 150, plus-8. As a school, the Muleriders tied for third at the event in Heber Springs, Arkansas. The GAC Championship is next for the school, that starts on Sunday.